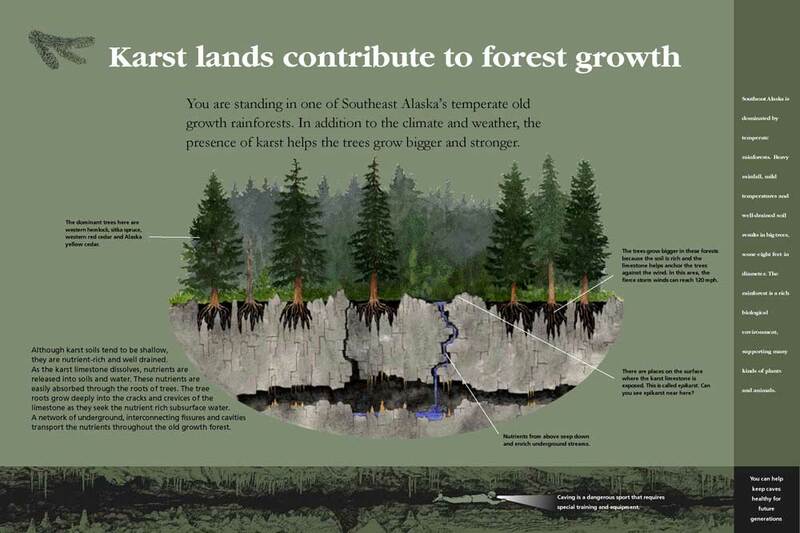 I researched, wrote text, designed and illustrated a series of 9 signs for the U.S. Forest Service for this remote site in Southeastern Alaska. It is located on Prince of Wales Island, an island accessible only by seaplane or ferry. 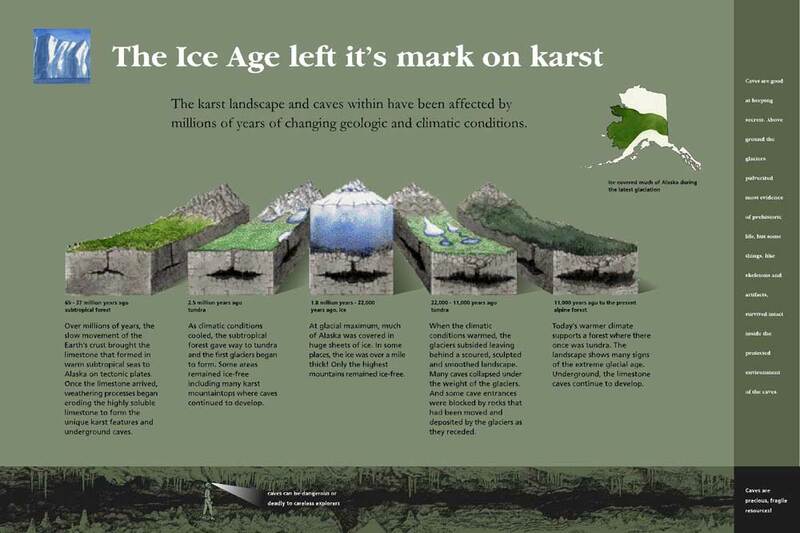 In the Tongass National Forest, the trail is a boardwalk that goes through muskeg wetland and old-growth forest above a huge network of limestone caves, called karst. 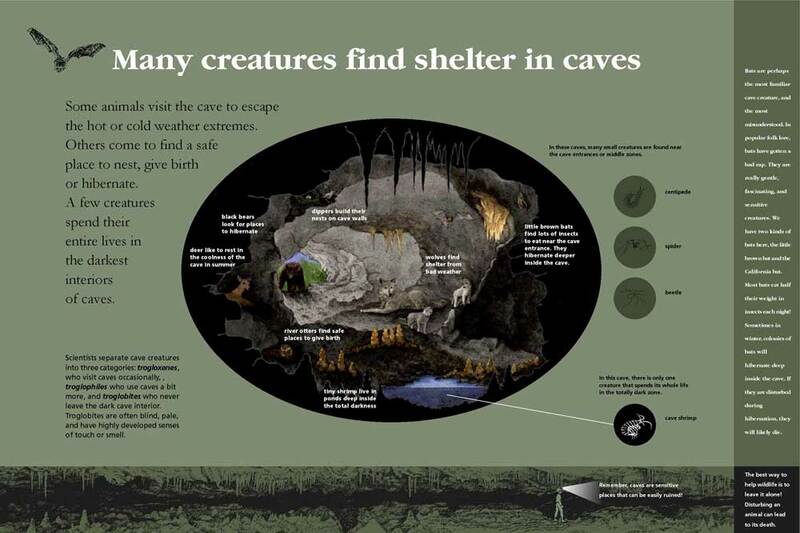 This sign shows some of the species that inhabit caves. 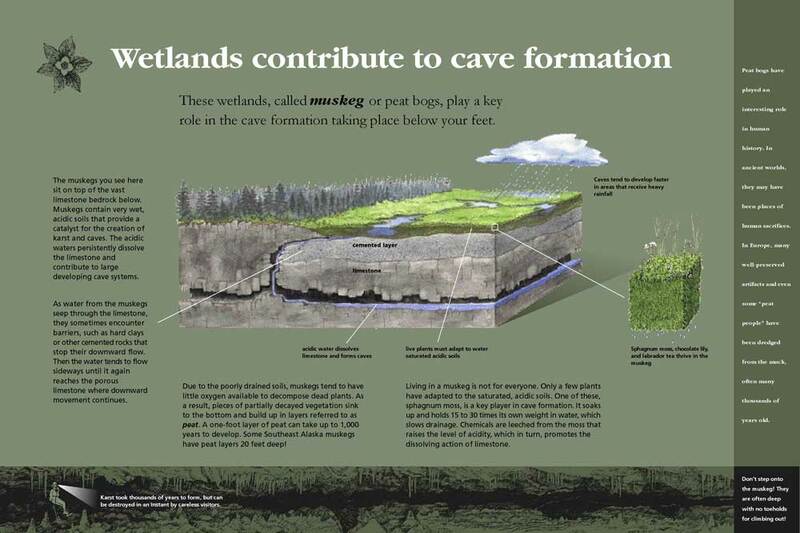 This sign interprets the connection between muskeg and limestone caves.